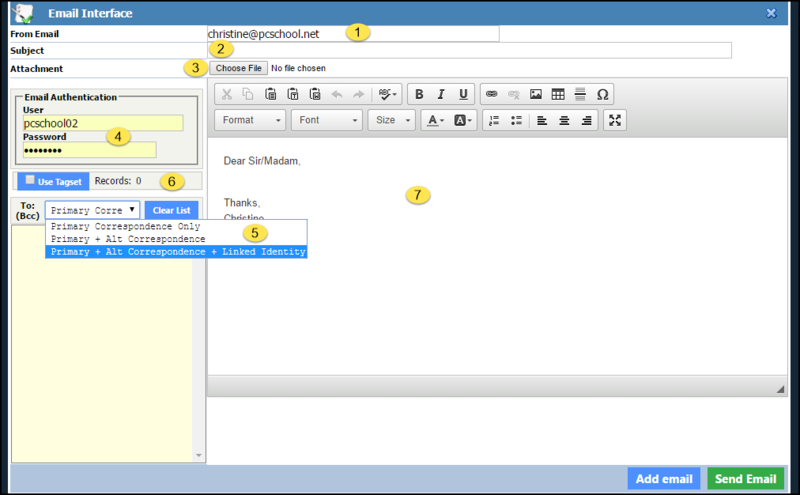 Attachment – select [Choose File] to attach a file. [Email Authentication] – comes from your Configuration file and is only used if you are using an email service that requires one. [Use Tagset] The address will depend on the type of user you select. Enter the body of the email here. 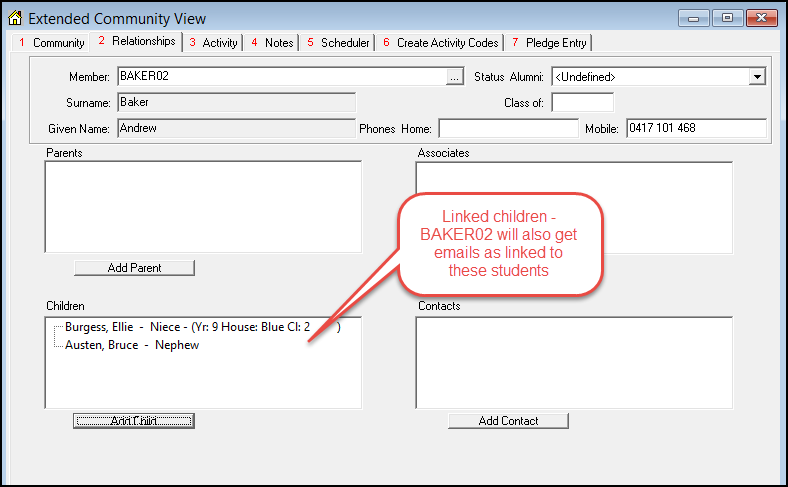 Not all linked Identities will be shown within Scholastic view. 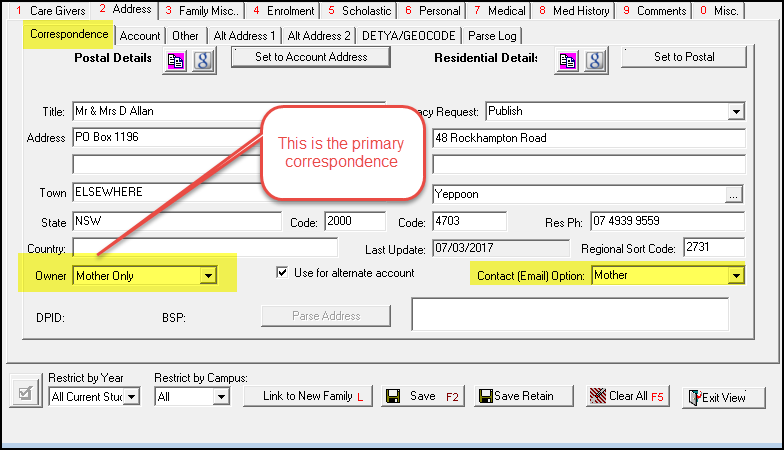 If a student has been added under the “Relationships” tab in the Extended Community, as per example below, the associated Identity’s email will also be included.